Ever since his 2003 landing in the world of electronic music, Eelke Kleijn has been a name synchronous with quality. Fans and enthusiasts worldwide have come to love the sympathetic Dutchman for his affectionate sound, unique productions and dynamic DJ sets, which have taken him from Mexico to Russia, and almost everywhere in between. And it’s not just the fans that are moved by his work; avid followers include internationally renowned DJs such as Hernán Cattáneo, Sasha and Dave Seaman, who repeatedly drop his tracks in clubs and festivals around the world. Eelke’s real breakthrough came in 2006 when Nick Warren included ‘8 Bit Era’ on his ‘GU 030: Paris’ compilation. A few months later, Global Underground snapped up his debut artist album ‘Naturally Artificial’, which hit the market late 2007 and received critical acclaim from press and reviewers worldwide. The attention from an international best-selling label also sky rocketed his DJ career, playing at massive events such as Moonpark in Buenos Aires, Dance Valley, Extrema Outdoor and Sensation to club gigs at the world famous Warung in Brazil and Privilege Ibiza. Throughout the years, Eelke’s increasing profile has given him the opportunity to remix numerous well known acts and DJs, including Way Out West, Hybrid, Miss Nine and Sander Kleinenberg. His area of work extends well beyond the borders of conventional dance music however, having written music for clients such as NIKE & Joolz and often being credited as a mixing and mastering engineer for various artists and labels. 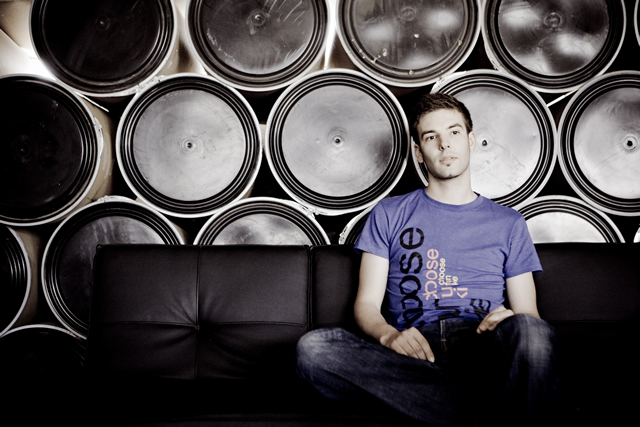 Besides his work as a DJ and producer, Eelke also successfully runs the record label ‘Outside the Box Music’, launched in 2006. His similarly named radio show and podcast has grown into an internet sensation, reaching tens of thousands of people each month. On November 24th Eelke released his second artist album, ‘Untold Stories’, on Manual Music. The philosophy behind his second full-length album is that music should be continuous, an uninterrupted, emotional experience. Having written the album as one single piece instead of a collection of individual tracks, Untold Stories is truly Eelke’s way of pushing boundaries with music. The album received great reviews and international DJ support by the likes of Hernan Catanneo and Nick Warren. With a second solo album released and an incredible amount of work to look back upon, Eelke Kleijn establishes himself not just as another producer or DJ, but as a modern day electronic composer.